Today marks the tenth anniversary for Psyonix’s Supersonic Acrobatic Rocket-Powered Battle-Cars (SARPBC), the game that built the foundations upon which Rocket League now stands. In honor of this anniversary and all that Psyonix has accomplished, the company is holding their first-ever Double XP Weekend. An explanation of what that entails exactly can be read below. XP that’s earned in Online Matches will double via a “+100% Special Event” multiplier we’ve been saving for a special occasion. All additional bonuses and multipliers will be operating normally. Psyonix also reminded PlayStation 3 owners that they can still get SARPBC on the PlayStation Store. For those making their way through the tiers in Rocket League’s premium Rocket Pass, Psyonix encourages you to share and post favorite moments, stories, and pictures to their Twitter, Instagram, and Reddit accounts, where they’ll choose some of their favorites and share them for other fans, alike. 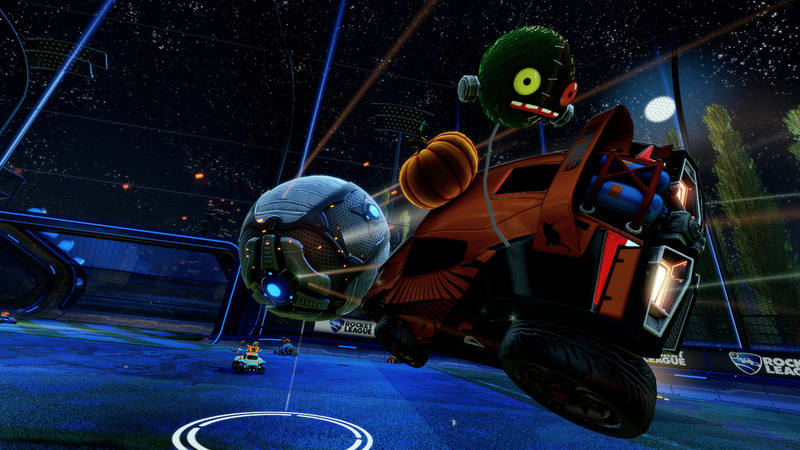 Rocket League has only grown in popularity. A Rocket League Champion Series now exists because of the game’s competitive nature, on top of a 50 million player following that spans four platforms. Who else is ready to earn that double XP in the weekend event? Sound off in the comments!